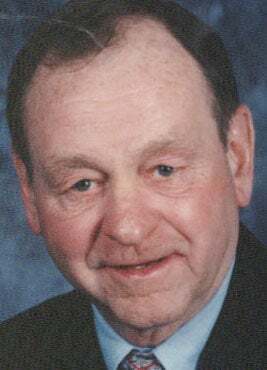 William Peter Hogart (Bill for short) was born on September 4, 1941 to Helen and Randall Hogart. Mr. Hogart passed away Friday, Aug. 14, 2015. He lived in the Dublin Gulch with his brothers — Dan, Timmy, and late brother Jack (Hoagie) — and Margie, who he considered a sister. He attended St. Mary’s Grade School where he met the love of his life, Mary Carol Kelly, dating her all through high school. Bill was a proud graduate of the 1959 Boys Central class. Bill and Mary Carol were married in 1961 and together raised a beautiful family of five children: Mike, Michelle, Jack, Billy, and Pam. He attended Montana Western in Dillon to play baseball for one year before returning home to work for the Anaconda Company. He worked there for many good years before he left in 1977 to go work for Butte-Silver Bow as the city electrician. He retired in 1995 but kept himself busy by refereeing college and high school sports for many years. Because of the love and skill he had, he was inducted into the Montana Officials Association Hall of Fame in 1999, which was one of his proudest moments. One of Bill's greatest joys was spending time with his family and watching his grandchildren and nieces in any activity they were in. lt didn’t matter if it was a basketball game, football, a softball game in below zero weather, dance recitals, or music concerts; he was always there with his video camera and a smile on his face. Bill also enjoyed taking care of the film for Butte Central and keeping track of their sports teams years after his grandchildren and nieces graduated. Everyone that knew Bill loved him. He was sharp, funny, and could put a smile on any and every face that crossed his path. Most days you could find him with all of his golf buddies at the Butte Country Club, doing something that he loved with people that he loved as well. No words will ever be enough to fully express all he was and all he meant to us all. We will miss your smiling eyes; you and Grandma Lolly keep an eye on us up there. Bill was preceded in death by his father, Randall; mother, Helen; brother, Jack; in-laws Mickey and Milly Kelly; and his favorite pal, Murphy. He is survived, missed, and loved by his wife, Mary Carol; sons, Michael (Clarisa), Jack (Lynette) and Billy (Marci); daughters, Michelle (Goob) and Pammy; grandchildren, Jake, Ali, Katie and Jackson; step-granddaughters, Jordan and Aubree; brothers, Dan (Susie) and Timmy (Nancy); brother-in-law and sister-in-law, Dan and Donna Kelly; special cousin, Margie; nieces, nephew, and countless friends. Relatives and friends may call Monday after 5:00 p.m. in St. Ann’s Catholic Church. Parish vigil services will be celebrated at 7:00 p.m. Funeral mass will be celebrated Tuesday at 11:00 a.m. in St. Ann’s Catholic Church. Rite of committal will be in Holy Cross Cemetery. Memorials can be made to Butte Central or the donor’s choice.